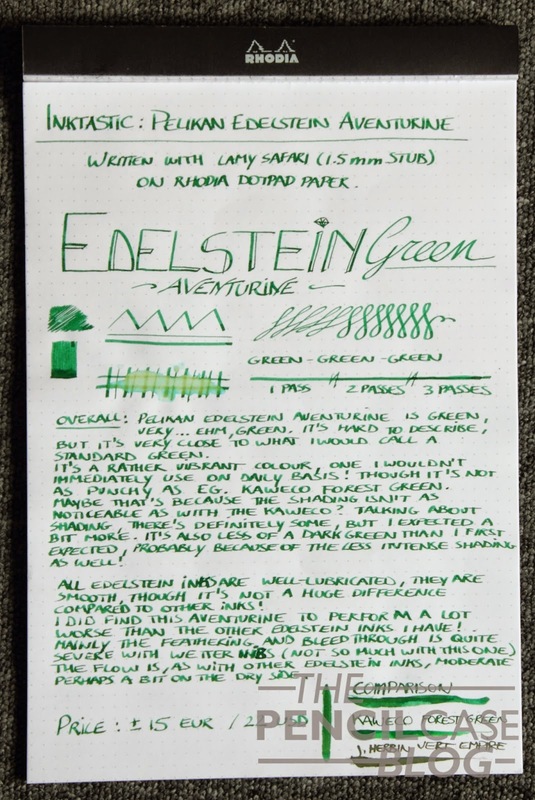 Pelikan Edelstein Aventurine is green, very...ehm, green! It's hard to describe the color, but it's close to what I'd call a standard dark green! The packaging on this Edelstein inks is a job well done! For the price, you get a really nice silver box, with a concave edge at one side that displays the color. The glass container inside is kept in place with two pieces of foam. 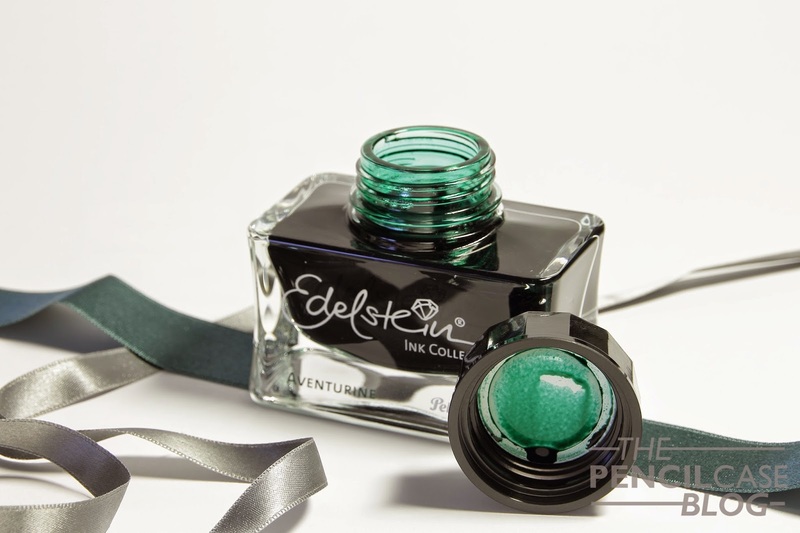 The bottle itself has a nice, rounded-off rectangular shape, elegantly printed with the Edelstein logo and the name of the stone that resembles the color (in this case: aventurine). Especially considering the price, the packaging is by far the prettiest I've ever seen! 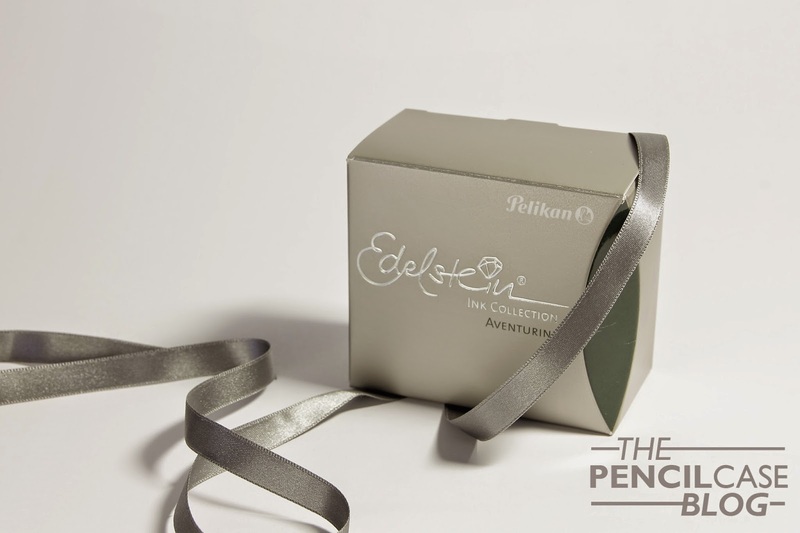 All Edelstein inks are well-lubricated and smooth to use. It's a nice ink to use, though don't expect your pen to write a lot smoother because you use this ink! I did find that this aventurine color has pretty mediochre performance, something I'm not used to with this line of inks. Mainly feathering and bleedthrough are quite severe with wetter nibs. Flow is, as with other Edelstein inks, moderate, perhaps a bit dry, though it didn't affect the performance in terms of skipping or hard starts. 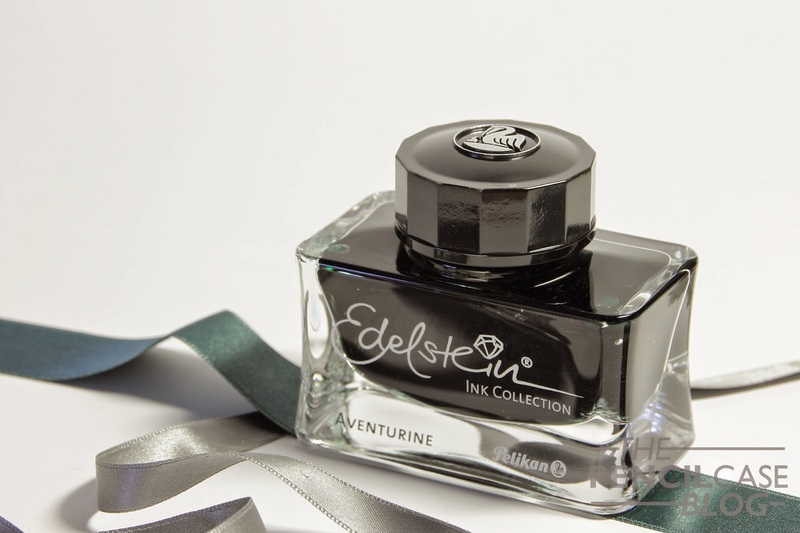 For 15 EUR / 22 USD for a 50ml bottle, the Edelstein inks are slightly more expensive than most inks. Though they do come in a very nice bottle, so for presentation value alone, they are definitely worth it! Unfortunately I wasn't too happy with this Aventurine color, so I'd say try out a different color if you want a better performing ink! Note: this ink was sent to me by Pelikan, free of charge, so I could write this review. I was in no way influenced in the making of this review, nor was I monetarily compensated. The opinions shared in this review are completely my own!